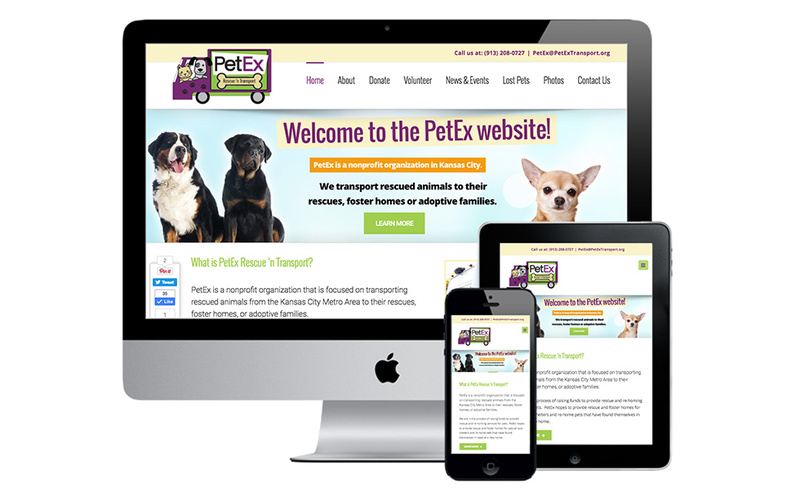 Animal Rescue Website Design & Development • JJJ. 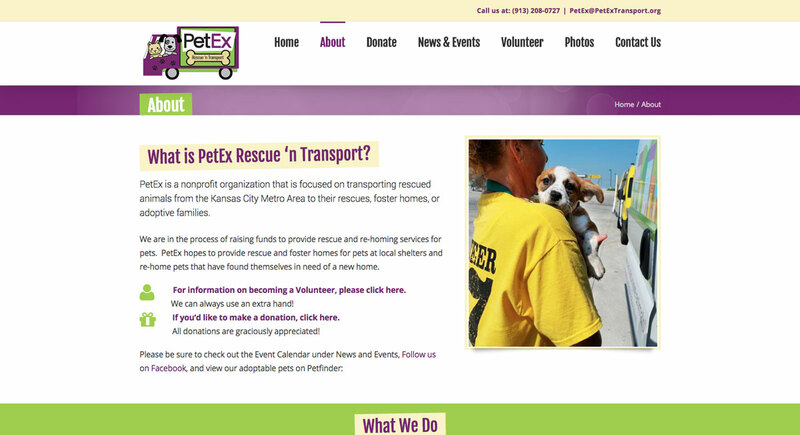 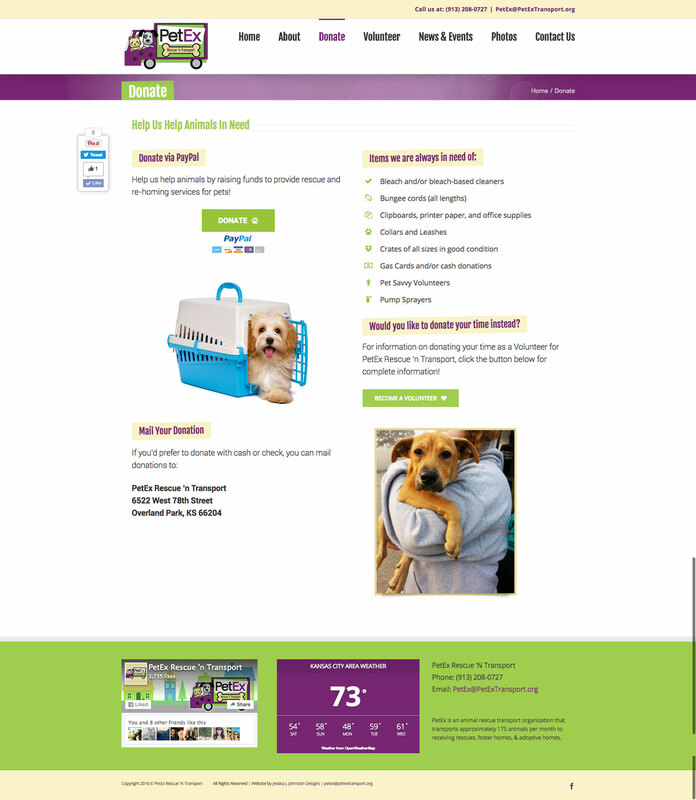 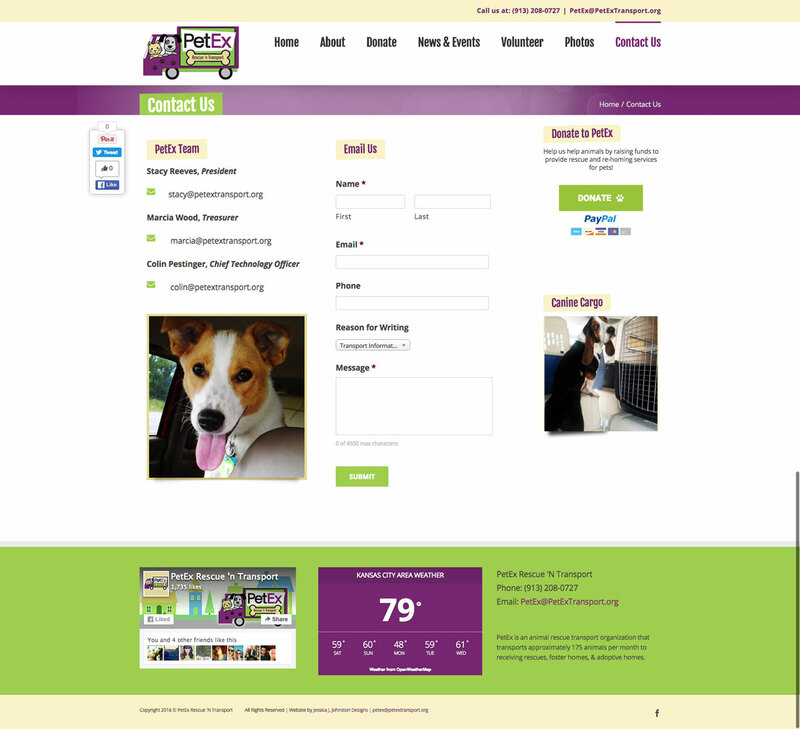 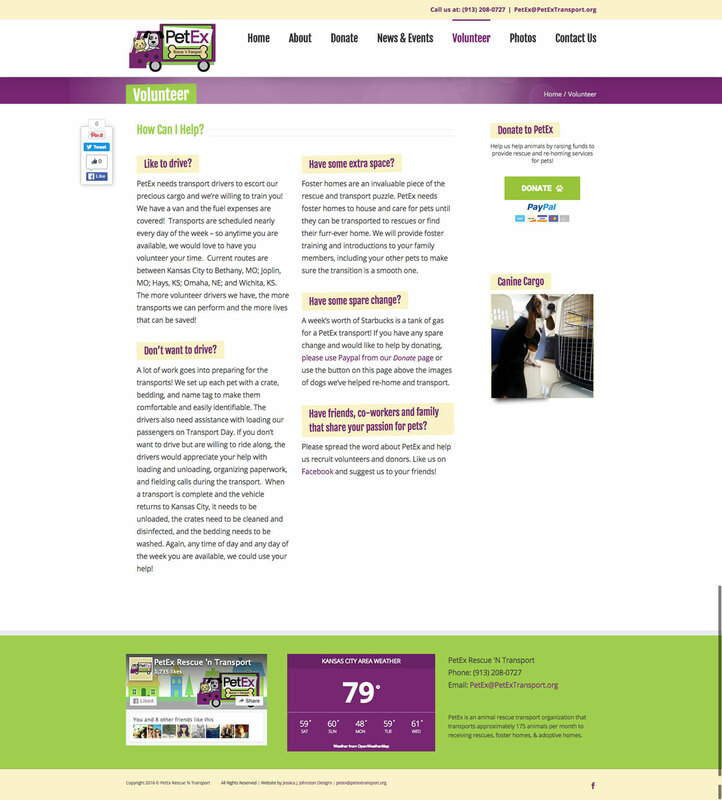 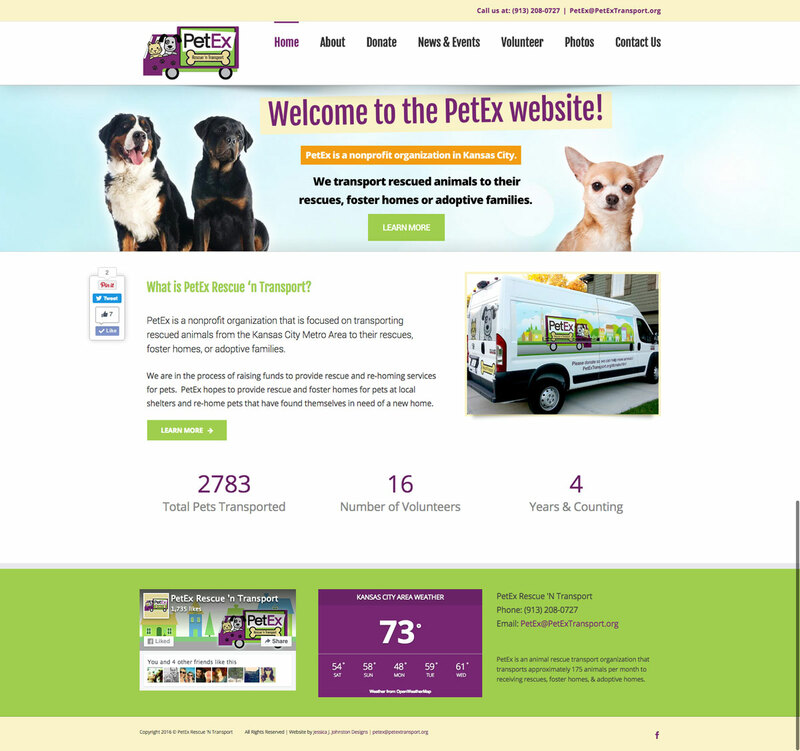 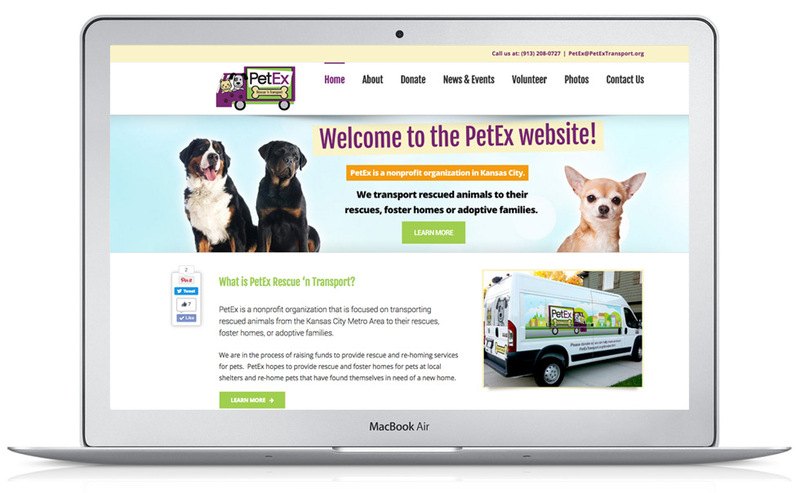 Pro-bono Animal Rescue website design & development utilizing WordPress as a content management system for local Kansas City pet transport organization, PetEx Rescue ‘n Transport. 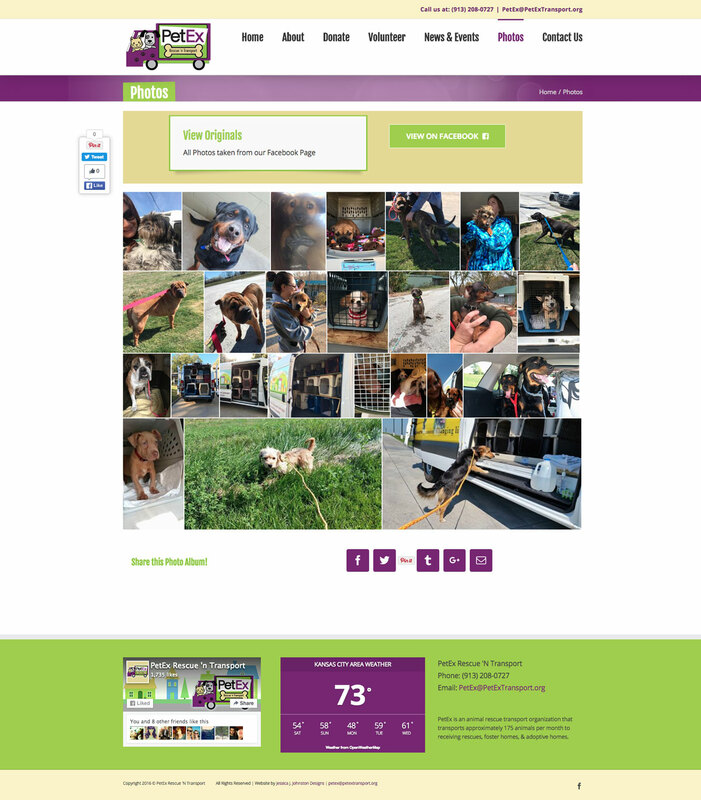 Includes Facebook photo album integration, contact form, revolution slider, sharing capabilities, etc.